Cut a 10-foot bamboo pole into two pieces, one 4 feet long and the other 6 feet long. (PVC pipe is another pole option). 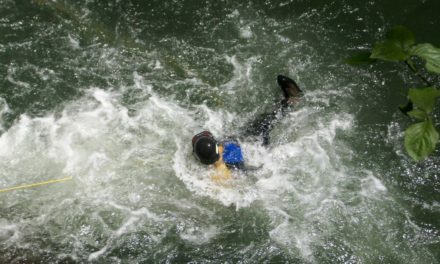 Place the 4-foot section across the 6-foot piece, about one foot down from the top. Wire the two pieces together with floral wire, twine or raffia. Place a plaid or other festive fall shirt on the short cross-piece of the frame and button the shirt in front. Stuff the shirt loosely with straw, dry leaves or rags. Place gloves at the end of the “arms” and secure them with wide rubber bands. Pull one leg of a pair of jeans or overalls onto the long pole. One leg will hang free. Tuck the stuffed shirt into the waist of the pants or overalls. Fasten the waist of the trousers to the pole with a rope or belt, tying the belt or rope to the cross-piece to ensure the pants don’t fall down! Stuff the pants with the stuffing material of your choice. 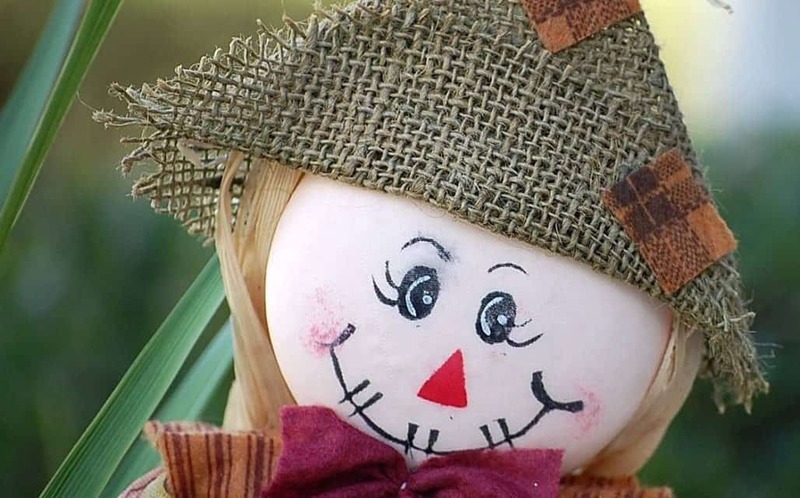 Make a head for your scarecrow by stuffing straw into a white or tan pillowcase. Tie the pillowcase opening onto the top of the long stake with rope and tuck the excess into the shirt, trimming with scissors if needed. Glue on buttons for eyes, a triangle of felt or black fabric and yarn for a mouth. Affix a straw hat with wire. Stick the scarecrow in the ground or tie it securely in another location.